Etling opalescent glass vase. 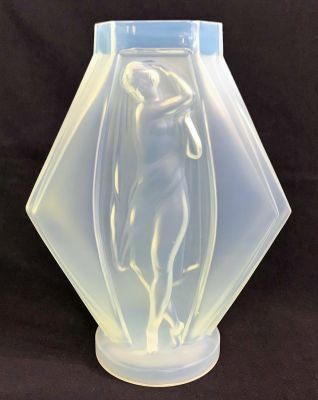 Period Art Deco, circa 1930, made in France. 12” high, 9 1/2” at the widest.